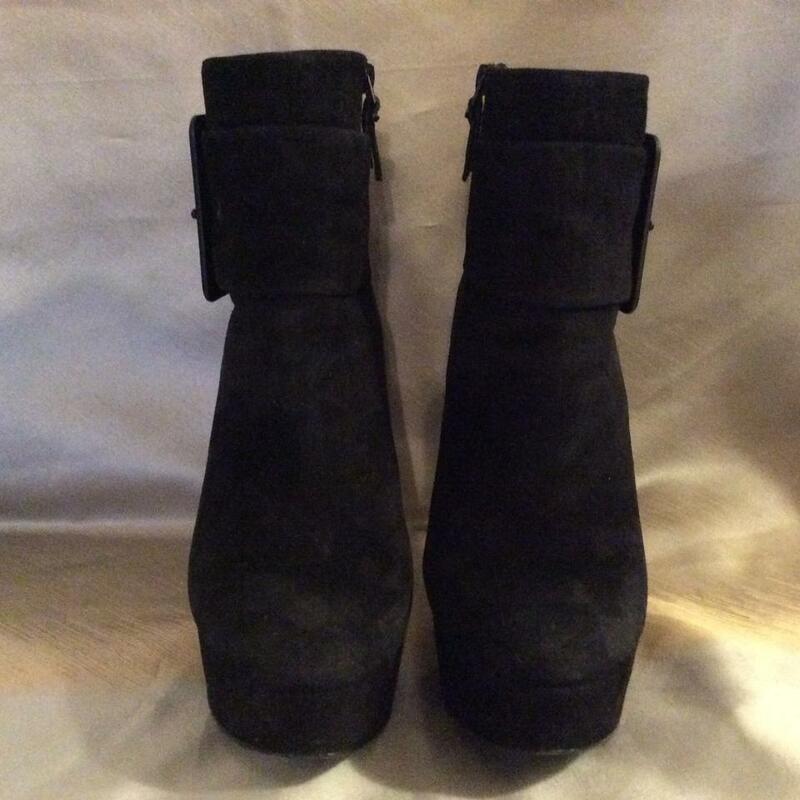 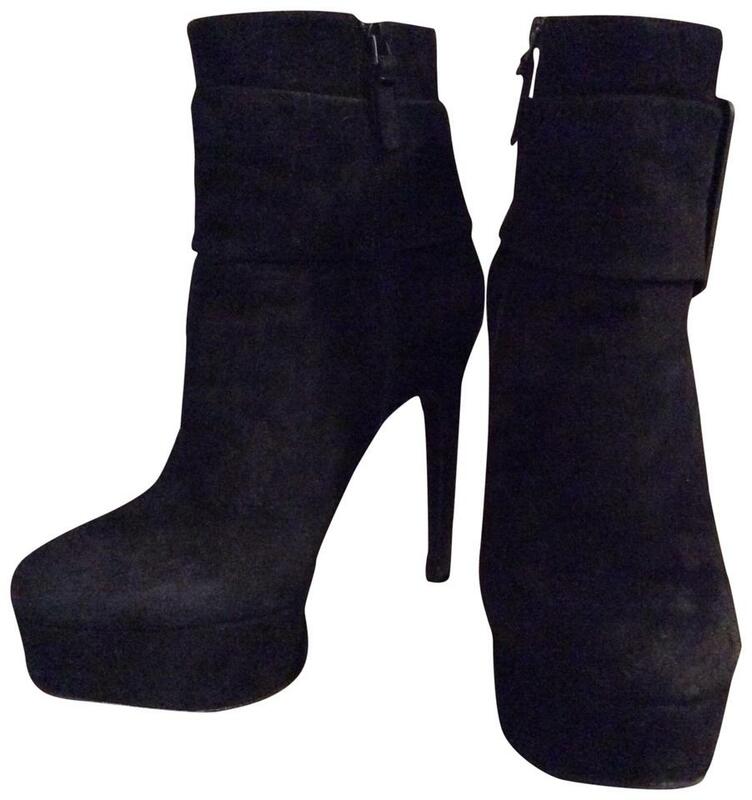 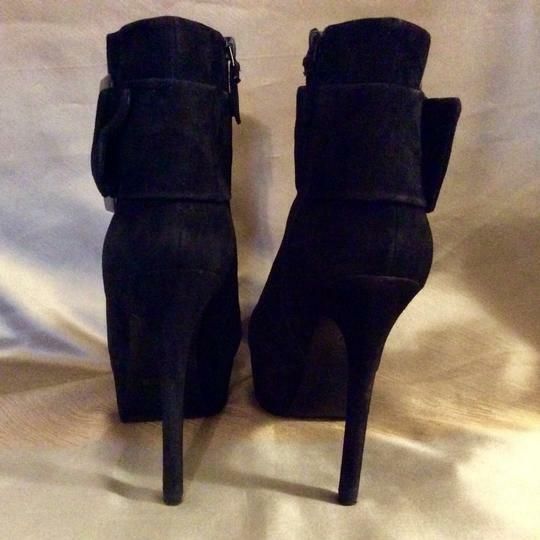 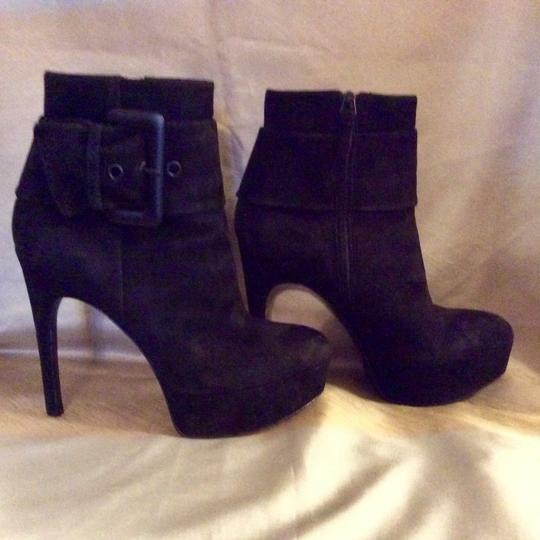 Via Spiga Black Suede Platform Ankle Boot / Bootie. 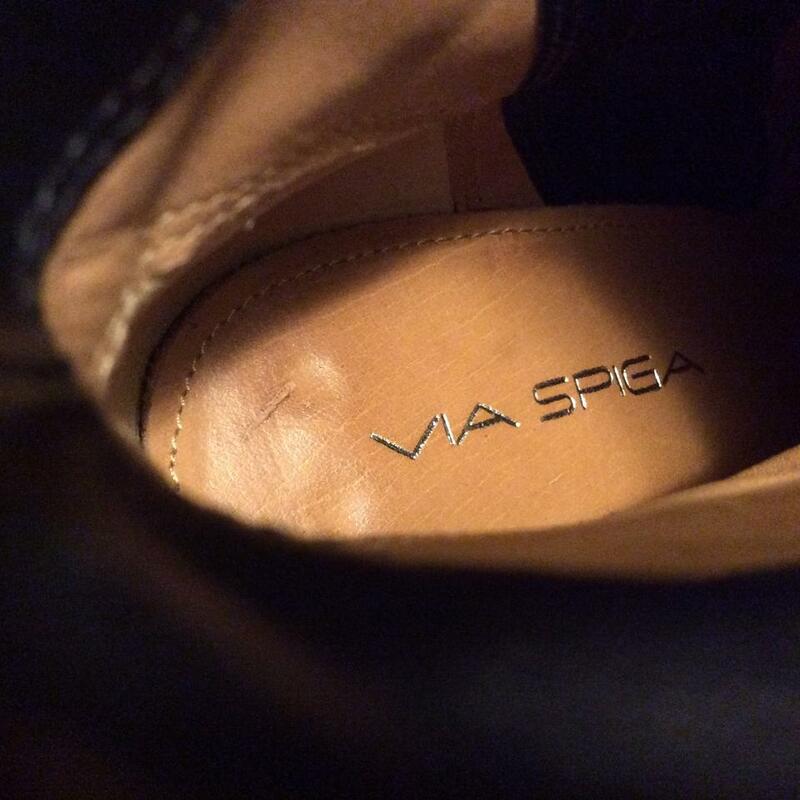 Worn For a Couple Of Outdoor Shoots, These Booties Have Quality Suede Upper, Leather Lining ( Has Silver Via Spiga Name and Soles ( The Leather Skin Label Stamped on the Sole to Indicate and the Via Spiga Name. 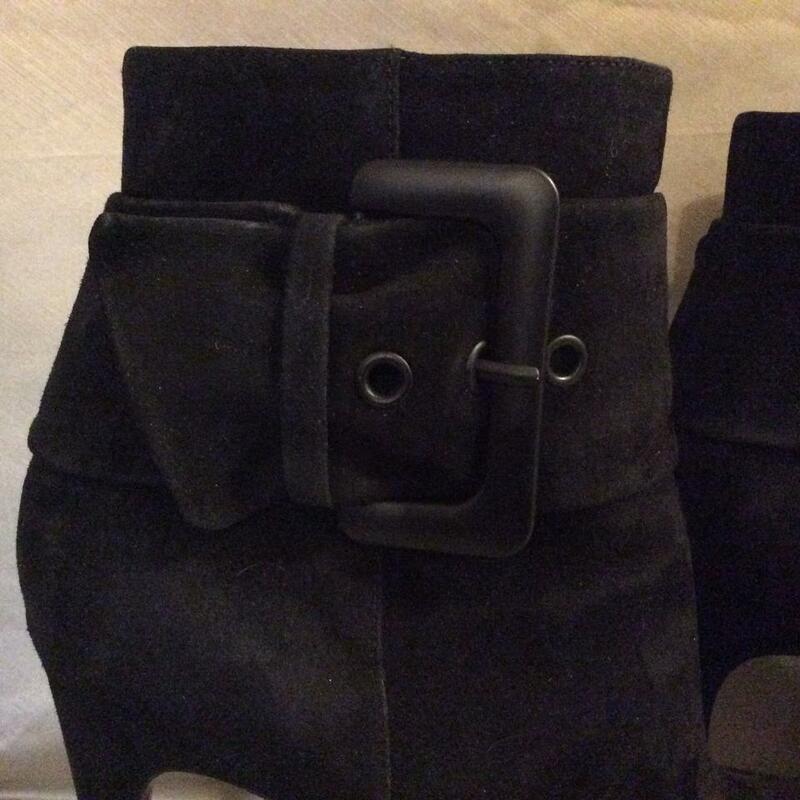 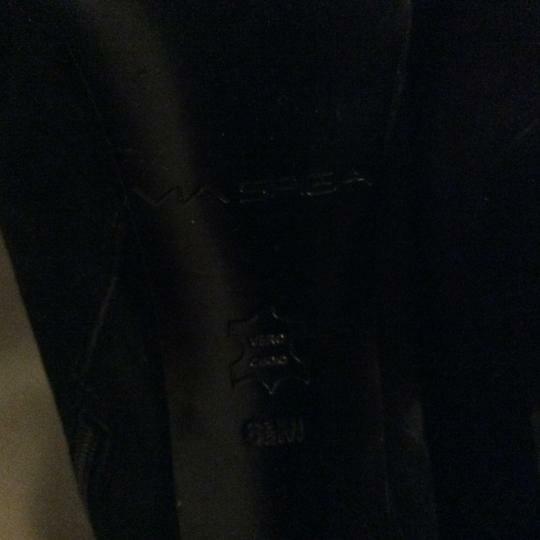 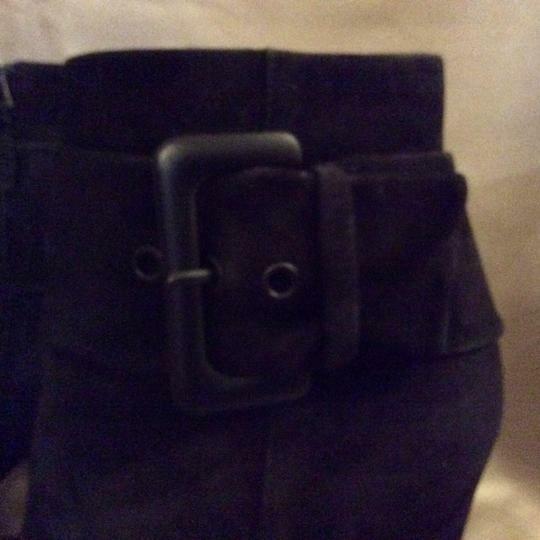 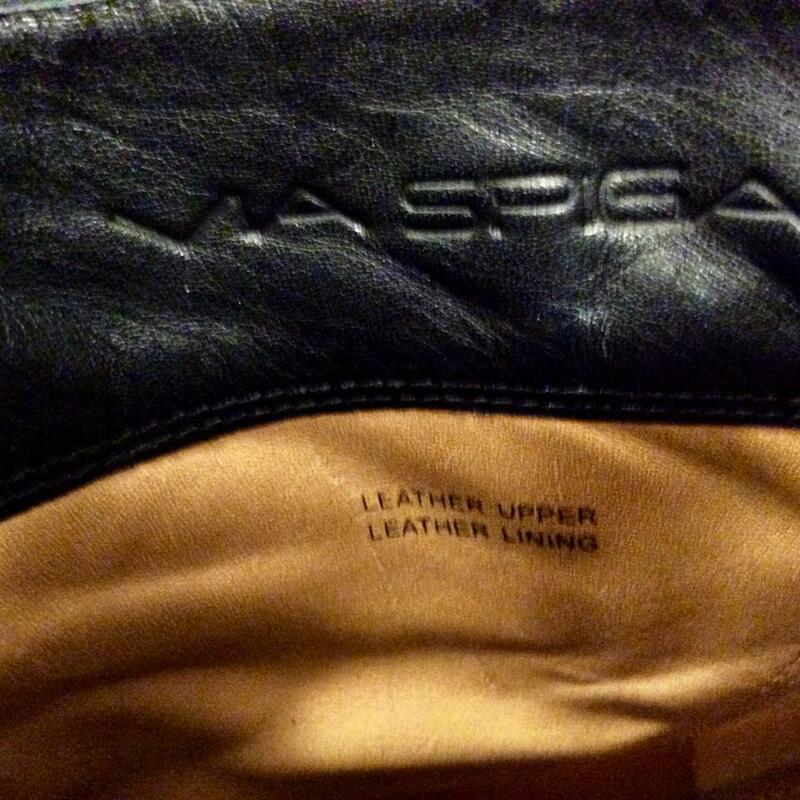 They Have a Black Buckle Tab Across the Top, With Interior Side Zipper Closure. They Have a Rounded Toe, The Ankles Measures 9" and Are 4" High From Top of Heel To Top Edge w/ a 5"Heel and 1 1/2" Platform Front. 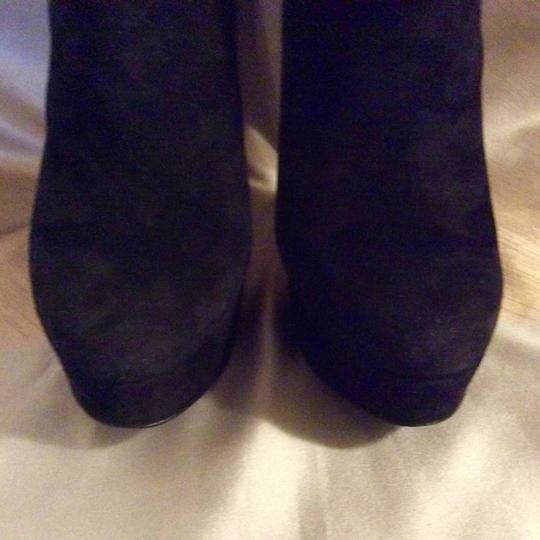 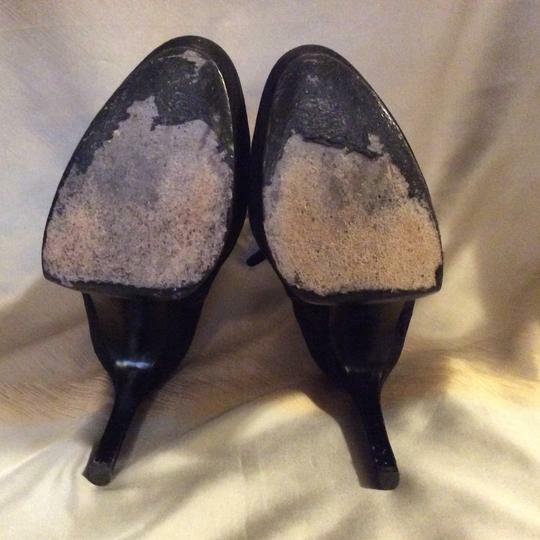 The Bottom Soles Have Signs of Being Worn on the Street , Otherwise are in Excellent Condition.